This unique bottle opener is shaped like a gold bottle of champagne, with the opening located on the bottom portion of the bottle. 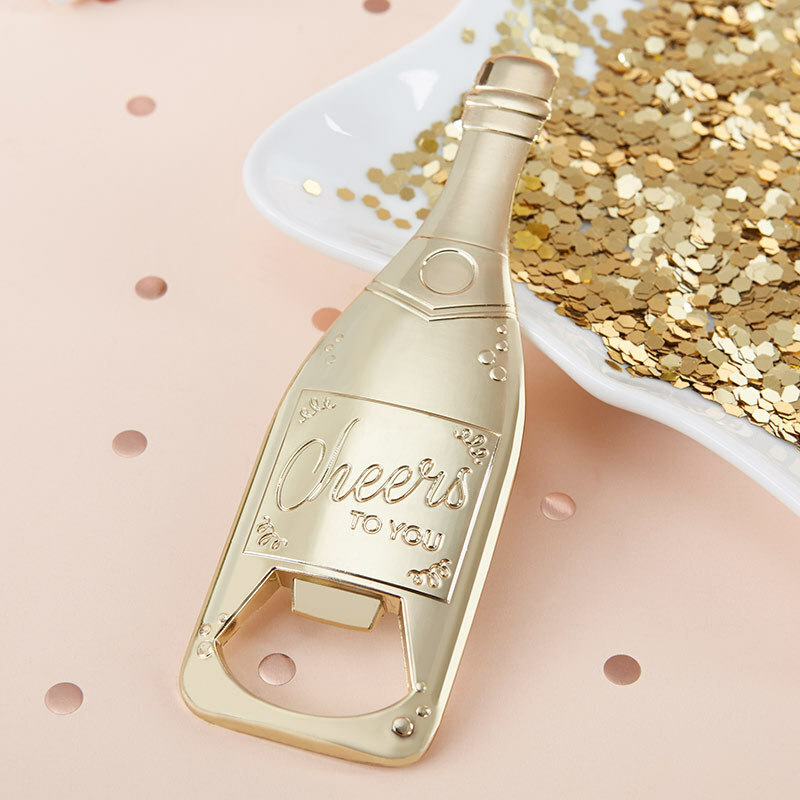 These bottle openers are a perfect gift for bridesmaids, wedding favors, or as thank-you's to bachelorette party guests. The possibilities are endless! Please allow up to 7 business days to fulfill orders with personalized favor tags; add ship time from GA.